Of all the Easter stories the one that captivates me most is the story of the two disciples on the road to Emmaus. If Synod 2020 is about us walking together with Jesus, then this seems to me to be the perfect starting point. It has all the elements that make it easily applicable to our present situation. While there is always a temptation to regard the present age as far worse than anything that has gone before, the Church is certainly going through an unprecedented time of turmoil. It is quite something when an Archbishop can boldly state that we have “lost our moral authority”. Like those two disciples we may well be tempted to walk away and look for solace somewhere else. It is important to note that they had turned their backs on Jerusalem and some commentators suggest that Emmaus was the sort of Las Vegas of its day! Anyway we know they were downhearted. Jesus confronts them with their misery and begins to probe, eventually having an in-depth conversation with them and helping them to see what was going on in the wider perspective of the history of their people. They are helped to see some important connections in all that had already been written in their scriptures. In fact when they looked back on the conversation they use that remarkable phrase: “did not our hearts burn within us?” As we seek to engage in an in-depth conversation now, it is important to remember that the Lord promised he would be with us always and so we can trust that if we are honest and open with one another, he will be there too. Hopefully, we will be able to look back on the whole Synod experience and say something similar about it when reflecting in the years to come. Of course, the crowning moment of the story is the supper. They prevail upon Jesus to stay with them for the meal, but then he disappears, leaving them to put the jigsaw together. And they do. In the breaking of the bread they recall the Last Supper and are so excited that they cannot wait to share their experience with the other disciples, returning immediately to Jerusalem. I have recently explained that both in the Redemptorist Congregation and in the Archdiocese the focus these days is on ‘restructuring for mission’. Accordingly, I have been reflecting on what in practice this may require of us and I am coming to the conclusion that sometimes when restructuring, you first have to deconstruct what is already in place. Using the analogy of a building that has served its purpose, sometimes you can renovate and bring it up to date, but on other occasions all you can do is to demolish and begin again. I hope this does not sound threatening or too radical, but let me use just one example of something that continues to preoccupy me and trouble me: the Sacrament of Reconciliation. Those of us of a certain age were brought up to confess our sins regularly and certainly the expectation was that practising Catholics would confess at least once a year. Many people still believe that this is part of the Easter Duty, but in fact it is not and never has been. The Catechism clearly states that this only becomes an obligation if people are conscious of the kind of grave sin which debars them from Holy Communion. The fact is that the practice has so radically changed in recent years that it seems to me that in effect the deconstruction of this tradition has already taken place. Yet, the practice of penance and reconciliation dates back to the earliest days of the Church, albeit that it was only with the Celtic monks in the seventh century that regular confession of sins became widespread. My concern is to find a way of bridging the gap; of recognising that as Pope Francis says, “we are all sinners in need of the mercy of God”, and finding a way of celebrating the Sacrament of Reconciliation in a way that enables all of us to experience the peace and joy of knowing that we are forgiven. Saint Paul puts before us the paradox that it is “when we are weak we are strong.” It is in recognising that we do not have the resources to conquer our sinfulness that we abandon ourselves to Christ and he becomes our strength. My final thought is that for too long spirituality has focused almost entirely on our personal relationship with God, neglecting the fact we have a common responsibility to each other and the whole of creation. The advantage of Reconciliation Services is that this dimension is evident: here we recognise that our sins affect one another. St Paul reminds us: “if one part of the body is hurting, the whole body is hurting.” Therefore, I do hope that once again as many of you as possible take advantage of the Reconciliation Services at the beginning of Holy Week: Monday 15 April at 7pm in St Mary’s and Tuesday 16 April at 7.30pm in Bishop Eton. There will be confessors for those who wish to make a personal confession of their sins, but if you do not feel this is necessary, you simply come forward for absolution. In the present dispensation this seems to provide a happy way forward. For the rest we will also try to offer as many opportunities as possible for Reconciliation in these last two weeks prior to Easter. You know by now that I try to be attentive to those moments when we see God’s providential hand at work in our lives. I had another classic example of this during my recent week in the south of England. One afternoon I called at the Jesuit House in Bournemouth in the hope of seeing Fr Brendan Callaghan SJ, who had supervised my thesis in the 1990s. I had heard that he had been convalescing there after a recent illness. In the event I learnt that he had recovered well and is due to be moving soon to the University Catholic Chaplaincy in Manchester. However, I was made most welcome by Fr Norman Tanner SJ, who provided tea and cakes! We had a fruitful conversation and as I was leaving he kindly gave me a signed copy of his book: New Short History of the Catholic Church. enewed.” The new translation reads: “For by your gracious gift each year your faithful await the sacred paschal feasts with the joy of minds made pure.” I admit that these words are a more exact translation of the Latin, but there was always something refreshing about the challenge of actually seeing Lent as a “joyful season” to offset the temptation of entering the six weeks with a sense of misery and foreboding. I sincerely hope that we are all returning, having had some opportunity to unwind and relax during the summer months. 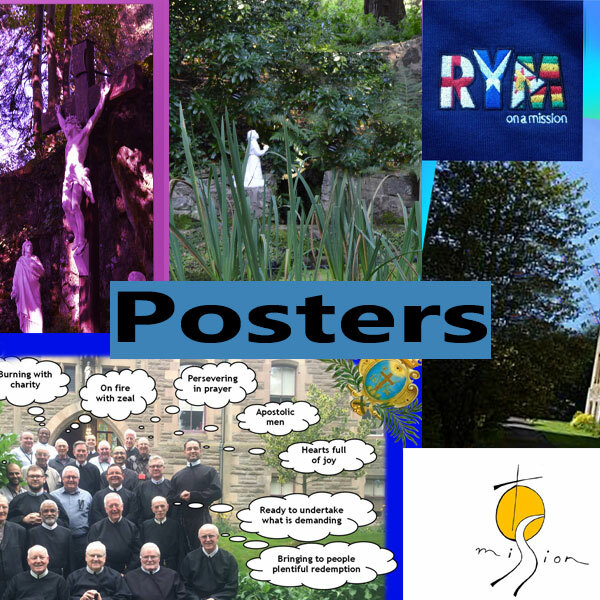 More even than the beginning of the new liturgical year in Advent or the beginning a new calendar year, I believe that the beginning of a new academic year provides the best opportunity for parish communities to start afresh. 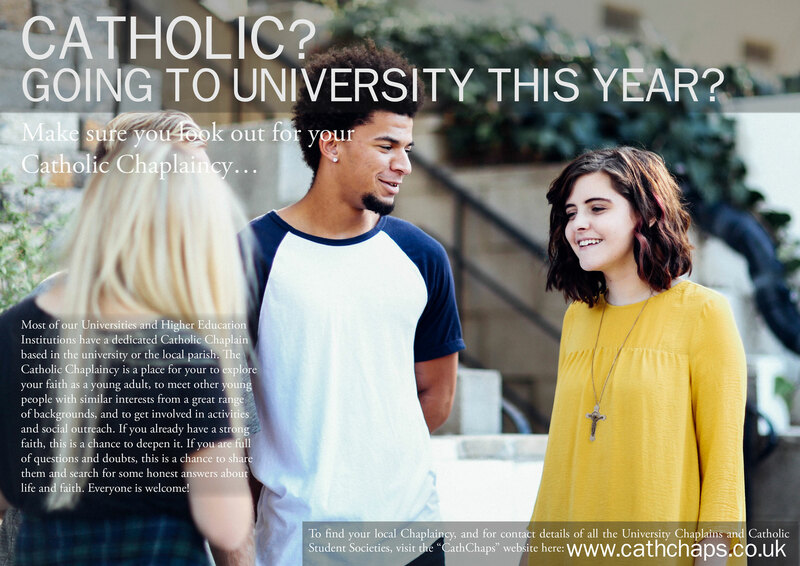 For it is not only the schools and universities which are welcoming students back for new courses or opening their doors to new students, but similarly our parish ‘Journey in Faith’ begins again, offering those who may be interested a chance to share our way of life and discern what the Lord may want for them. Likewise, all the existing societies begin to meet again and continue their work and prayer. It is for this reason that Bishop Eton and St Mary’s are having the joint assembly at St Julie’s School on Saturday, 10 October.